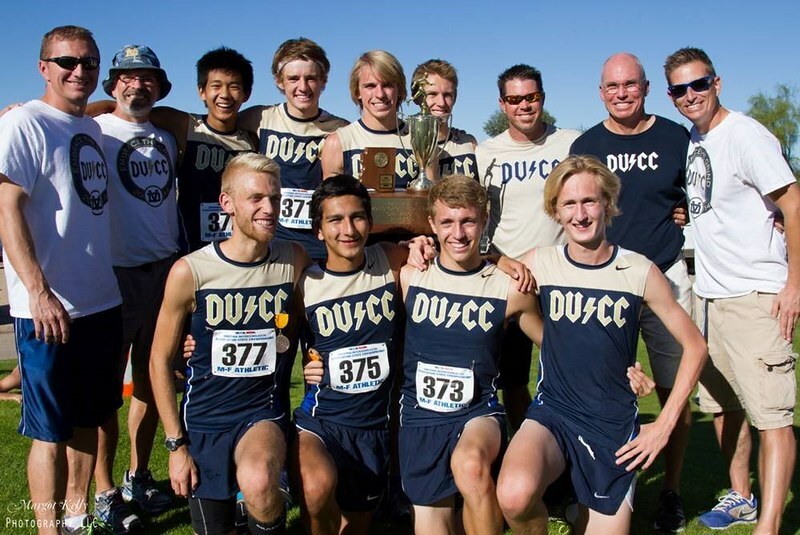 DVCC captures its sixth Arizona State Division-I Cross Country Championship with a low score of 46 points. DJ Harris led the way finishing 4th overall in 16:08, followed by Xavier Esparza 5th (16:09), Kyle Harvriliak 7th (16:30), Chris D'Angelo 14th (16:41), and Ben Davis 16th (16:41). Also competing were Nathan Chan 40th (17:20) and Matthew Anciaux 44th (17:28). Team Results can be found here.